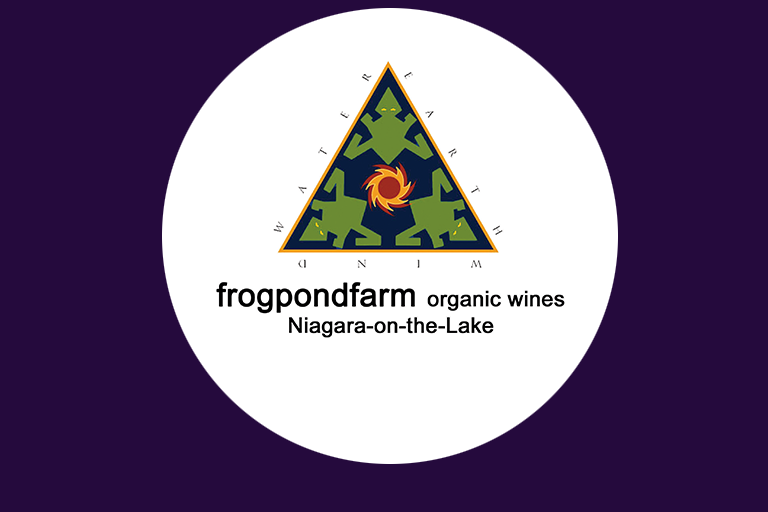 Frogpond Farm Organic Winery began in 1996 as an abandoned orchard. After clearing apple, pear and peach trees, vines were planted and nurtured organically producing the first vintage in 2001. Ten acres of vines, Riesling, Cabernet Franc and Merlot surround the pond at our Larkin Road vineyard.Twenty more acres of organically farmed vines, Gamay, Chardonnay, Pinot Grigio, Vi-dal and Chambourcin are located around the corner on Fourth Line. How did we choose the name? Well, there is a pond … and many frogs including the Leopard Frog, the rest is history.